Cara is an extremely high yielding Irish variety. 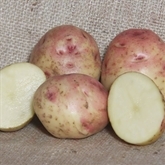 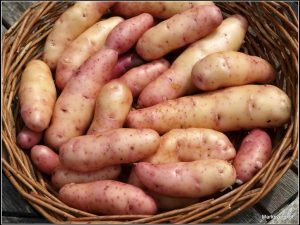 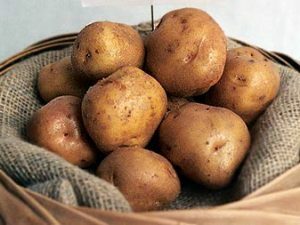 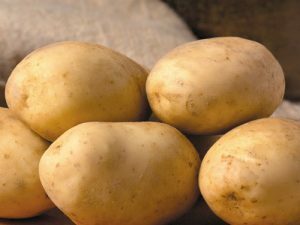 These maincrop tubers are oval-round in shape, with smooth skin and a shallow eye. 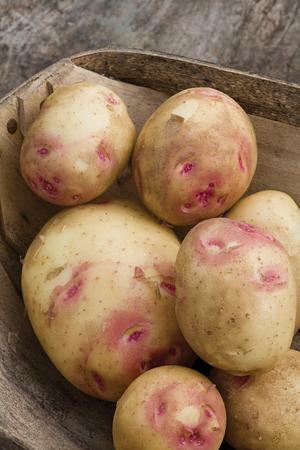 Beautifully coloured white and pink skin. 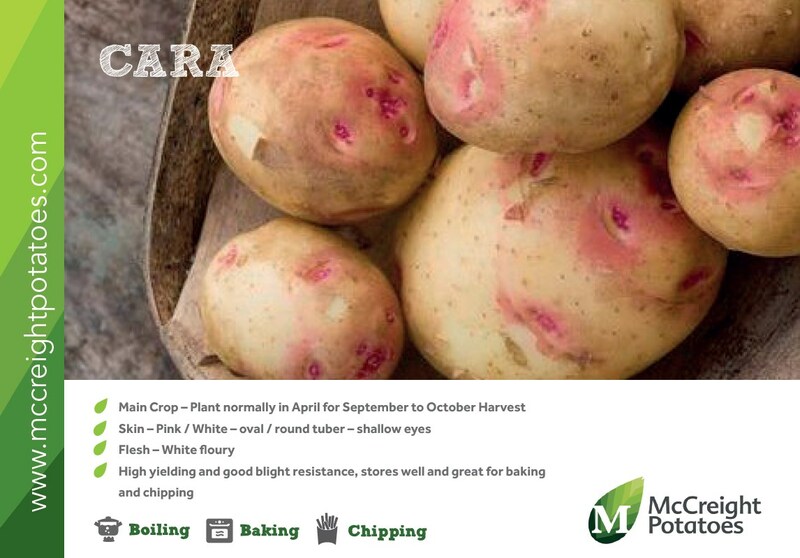 Cara has soft, floury white flesh, therefore is good for baking and chipping. 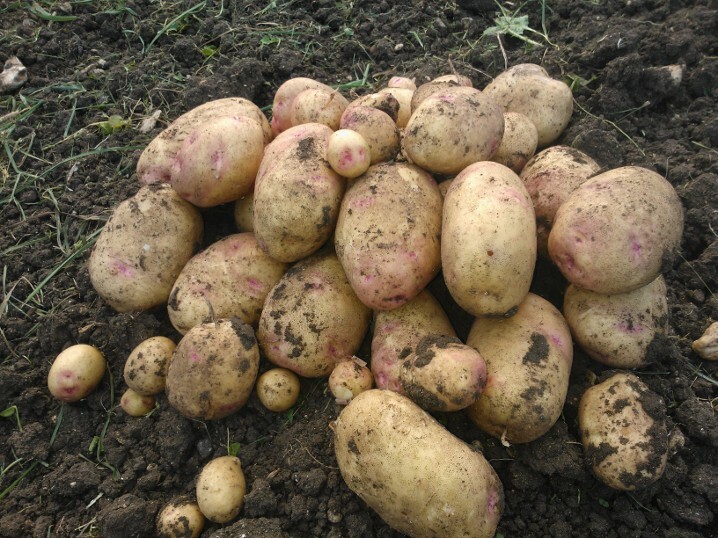 Cara thrives best on light soils, has good resistance to blight and stores very well.